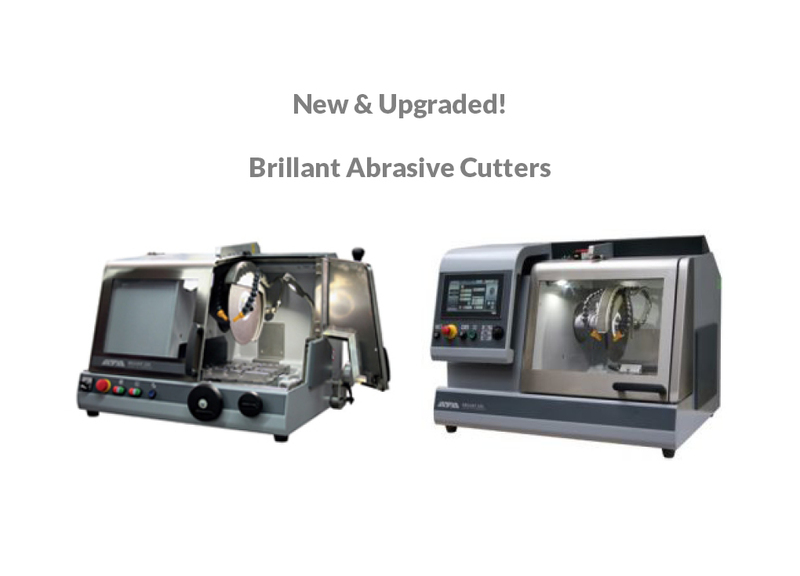 MetPrep are pleased to announce that two of our most popular abrasive cutters, the Brillant 250 and Brillant 230 & have been updated to offer even better functionality. Our Brillant 250 abrasive cutter has been redesigned to take the larger 14″ 350mm abrasive blade as well as a 300 mm blade and comes complete with a larger T slot bed giving greater cutting capacity. Coupled with manual and automatic sectioning options it makes the Brillant 250 a most versatile cutter. 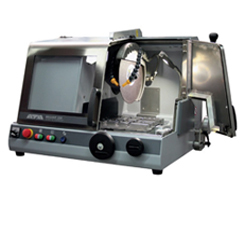 In addition our Brillant 230 300mm manual abrasive cutter has been updated to take a manual Z axis bed option. 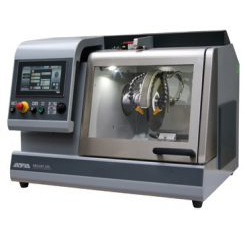 This allows rapid positioning of the sample for accurate and efficient cutting.